The Tri-State Board of Directors has announced establishment of the John Boyle Memorial Scholarship Fund. DONATIONS: To donate online, select donation amount from dropdown box below. For other methods, see details about the Fund below this section. The Tri-State Board of Directors has announced establishment of the John Boyle Memorial Scholarship Fund. The scholarship recipient will receive full tuition to the October 2016 NAMA/MSU Executive Development Program and will be awarded to a Tri-State member next year. Please see the link in the section above. The John Boyle Memorial Scholarship recipient will receive full tuition, plus $250 to assist with travel expenses, to the MSU/NAMA Executive Development Program, designed for senior level executives, business managers, and mid-level managers in the convenience services industry including vending, coffee service, food service and related services. 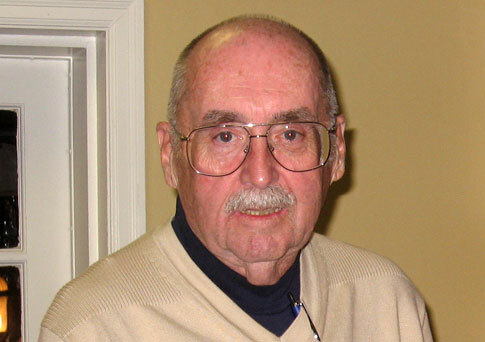 This scholarship fund is a fitting tribute to Mr. Boyle’s desire to teach and educate so many in the vending industry. The scholarship will cover tuition, materials, daily breakfast and lunch, plus two dinners. The winner must pay travel expenses and hotel room costs. Mr. Boyle had a distinguished career in the vending industry for over 40 years, serving in various senior level sales, operations, and management positions. He is remembered for his many accomplishments, service and dedication to the vending industry and its members. In addition to being honored twice with Tri-State’s Harry Mowery award, given to a person who captures the passion, positive energy and intense love for the vending industry, Mr. Boyle was twice the recipient of the NAMA Legislative Award, in 1989 and 1998, for outstanding efforts on behalf of the vending industry. He received an Official Citation from the PA House of Representatives for dedication and distinguished service to the food and beverage vending industry, and a Proclamation from the PA Senate for exemplary record of service, leadership and achievements in keeping with the highest ideals and traditions of the Commonwealth. For further information on the Executive Development Program, please contact Pam Gilbert at 571-346-1901 or pgilbert@namanow.org. Or visit www.vending.org/education/executive.php. For eligibility requirements, selection process and complete scholarship details please download the scholarship application by clickling on the link below. In order to qualify and apply for the scholarship, you must complete and return the attached application.